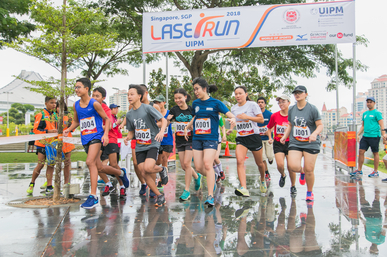 The Singapore Modern Pentathlon Association (SIMPA) teamed up with local authority, ActiveSG, to promote the benefits of UIPM Sports as a lifestyle choice during the Global Laser Run City Tour in Singapore on August 5, 2018. Singapore’s second City Tour was held in conjunction with a month-long calendar of activities to celebrate the 53rd National Day of Singapore. Prior to the event, three Laser Run workshops had been conducted over the preceding weekends to allow participants to practise their laser shooting skills. Participants aged between seven and 67 were attracted from local schools and communities as well as neighbouring Thailand and Malaysia. The local organising committee reported that the City Tour was well received by the general public, with a lot of walk-up interest on the day from people keen to try laser shooting and expressing their interest in participating in future Laser Run and Modern Pentathlon events. 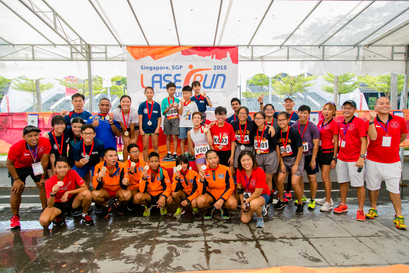 Laser Run was introduced in Singapore in 2016 and is in sync with ActiveSG’s ideology in bringing enjoyment and health to local communities through active participation in sports. Laser Run is a development sport of UIPM but aspiring athletes of all ages also have the chance to compete for global titles at the UIPM Laser Run World Championships, the fourth edition of which takes place in Dublin (IRL) on September 28-30, 2018.